Our hospital utilizes digital X-rays. 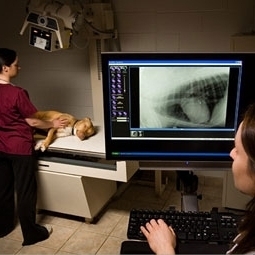 This results in high definition imaging which allow our vets to better diagnose problems within seconds. Xrays help us find broken bones, joint disease, foreign bodies, cardiac disease, pneumonia and tumors.